Compared with the East Lane and West Lane races there hasn’t been much money raised. Sources: ORESTAR, Lane County Elections. Data current as of midday Sunday, April 27, 2014. Stewart has significantly closed the gap on Matthews. Matthews was far ahead at New Years: http://lindholmcompanyblog.com/?p=10124. 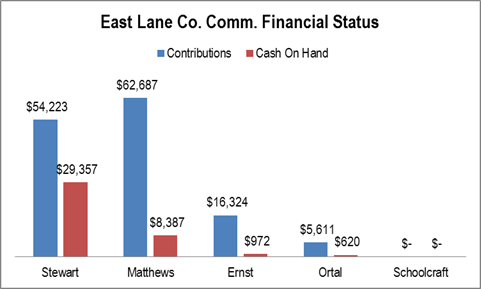 Matthews has continued spending much faster than Stewart (http://lindholmcompanyblog.com/?p=10138). 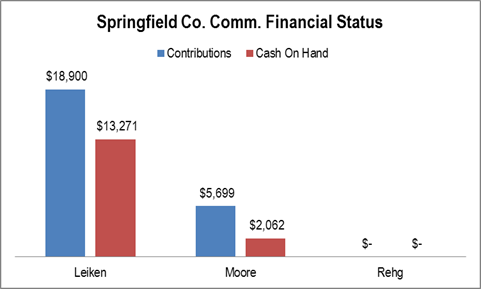 This post begins a series spotlighting the financial situations in the various county commissioner contests just before the ballots go out this week. The interesting part is the strategic timing of each campaign’s expenditures. Lesley spent more in 2013 (http://lindholmcompanyblog.com/?p=10138)and has spent much less since then. 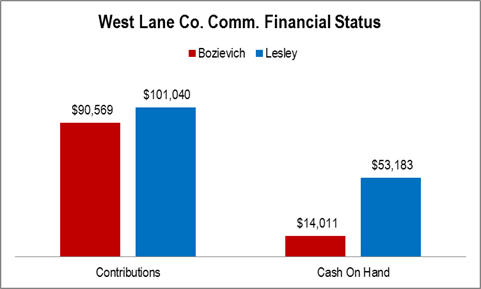 Bozievich has spent almost all of his money and Lesley has saved more than half. 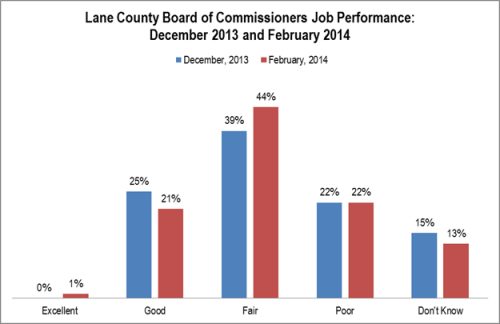 Essentially, the rating of the county commissioners has been holding steady in Eugene. QUESTION How would you rate the job the Lane County Board of Commissioners is doing: excellent, good, fair, poor? 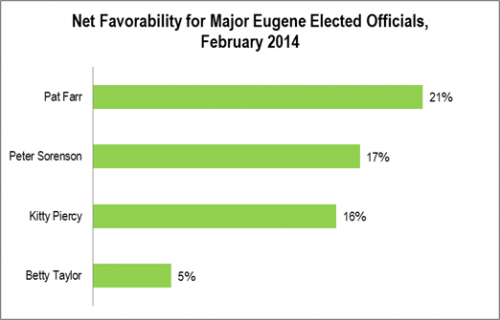 METHODOLOGY Random sample of 200 live telephone interviews of likely City of Eugene 2014 General Election voters conducted December 4 and 5, 2013 and February 11 through 14, 2014. Margin of error at the sample median is 7 percent. The four best known Eugene local office holders are Mayor Kitty Piercy, county commissioners Pat Farr and Pete Sorenson, and City Councilor Betty Taylor. When tested for favorability, Pat Farr has the highest net favorability. Net favorability = Favorable pct. minus Unfavorable pct. Disclaimer: Pat Farr used to, but does not now, work for The Lindholm Company, LLC. 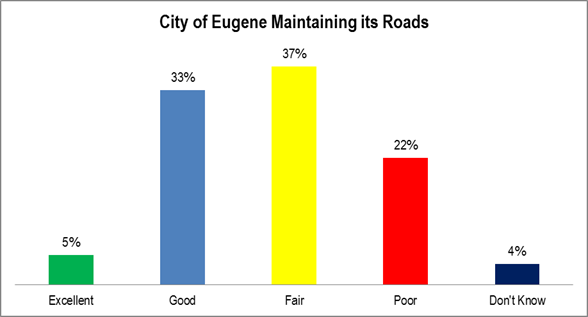 Like Lane County, Eugene is seen as doing a better job with its roads than its finances. However, in none of the four cases, are either Lane County or the City of Eugene handling their finances or roads in a widely approved manner.